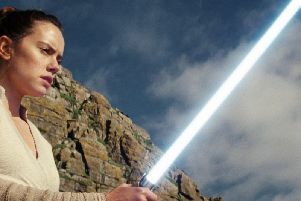 The title of the final film in the third Star Wars trilogy will be Star Wars: The Rise of Skywalker. The announcement was made at a Star Wars celebration event being held in Chicago. The JJ Abrams-directed film will be released 20 December. Walt Disney Co. Chief Executive Officer Bob Iger has said the film franchise will go on “hiatus” after December’s big release. “We have not announced any specific plans for movies thereafter,” Mr Iger said in a Bloomberg Television interview.